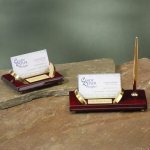 FREE ENGRAVING up to 50 Characters. 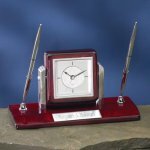 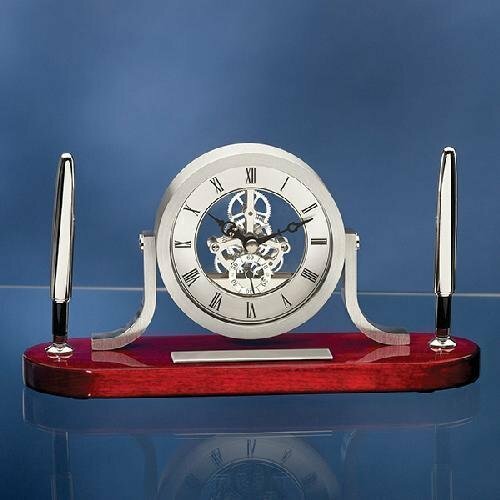 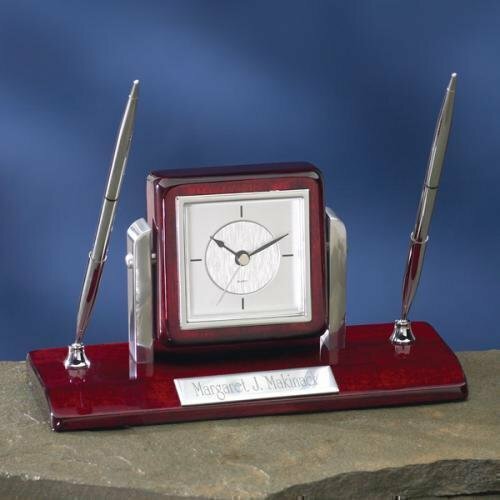 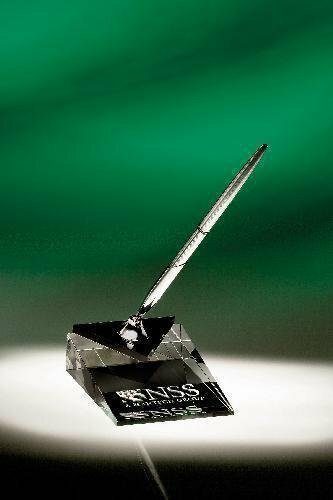 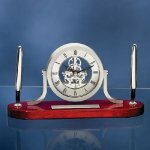 Beautiful pen set desk clock with exposed gears and brushed chrome face sit atop a piano finish wood base. 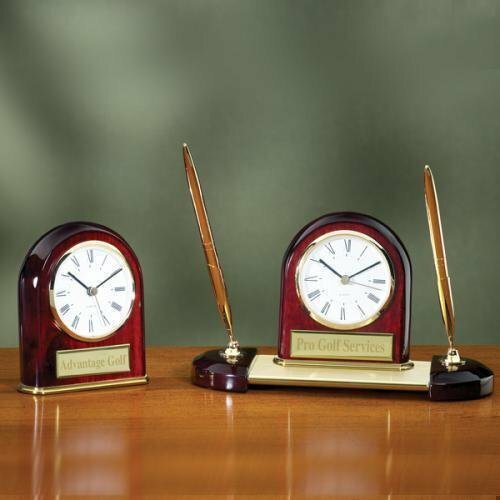 Comes with 2 pens. Includes an engraving plate measuring 3-1/4" x 7/8"